This is a traditional Italian torte, loaded with hazelnuts and poppy seeds, rich with ricotta cheese. It goes well with a cup of good, strong coffee. First butter and line a 28cm tart or cake tin, one with a removable base, with greaseproof paper. Toast 125g of hazelnuts in a dry frying pan over a medium flame until they’re golden and start to smell, well, nutty. Be careful not to let them burn at all or darken too much. They’ll catch in a second if you let them. Let the nuts cool on a plate for a few minutes, then grind them up in a food processor until you’ve got a fine powder. Some slightly bigger chunks add texture, so don’t be too enthusiastic with the ‘On’ switch. Beat 115g of butter that you’ve hopefully remembered to take out of the fridge an hour or so earlier to soften with 125g of caster sugar until the mixture is pale and light. A food processor will make short work of this, but you can do it by hand. Add four egg yolks, one at a time, to the butter and sugar and mix them in slowly, along with the finely grated zest of an orange. Save the egg whites. Sieve 30g of plain flour into the mix, add 125g of ricotta cheese, the ground hazelnuts and two large tablespoons of poppy seeds and gently stir them in. Whisk the egg whites with the barest pinch of salt until they’re very stiff, then fold them into the rest of the mix. Tip the torte mix into the tin and bake in an oven heated to 190c for 25 to 30 minutes. Leave the torte to cool in the tin for a while, then take it out and brush the top with a glaze of apricot jam – just heat a couple of tablespoons of jam with a splash of water in a pan and brush over the torte. To serve, grate some plain chocolate over the torte and cut into thick slices. This recipe is adapted from Jamie Oliver’s Jamie’s Kitchen, which accompanied Oliver’s TV series charting the setting up of Fifteen and it’s associated foundation. The Fifteen Foundation aims to provide a chance for disadvantaged young people to learn to cook and forge a life in food. Fifteen’s mission is to “inspire disadvantaged young people to believe they can create for themselves great careers in the restaurant business” through offering apprenticeships, vocational training and expert support. At the very core of what Fifteen stands for is “the belief that the best way to learn is to get stuck in and learn by doing”. Fifteen now runs four restaurants, in London, Cornwall, Amsterdam and Melbourne, and turns over £4million a year, contributing £250,000 to the Fifteen Foundation. Their 2007 Social Audit showed that of the fifty-four students who had started the programme, three quarters are still involved in the restaurant business. Anybody who uses their own success to leverage a chance for others, building that germ of an idea into a repeatable experience, an enterprise that can continue to give the same chance to successive intakes of students deserves all the credit and success they get. Jamie Oliver should be proud of Fifteen’s success and what its achieved. Sweet, cut with the faint acidic overtones of orange juice, crunchy from the nuts and poppy seeds, the grated chocolate swinging in at the end with a slightly bittersweet finish. Knowing where the recipe came from makes it all the better. NB. thanks to Tastespotting and Foodgawker for publishing my photo. This looks lovely! Would make for a great gift for someone special. I'm starting to get inspired for baked gifts for the holidays! I love Italian ricotta cakes. The fact that they are not too sweet and fantastic made with proper ricotta (not the supermarket slop). I think Jamie Oliver is wonderful too. Not happy with being just an incredibly talented chap in the kitchen, he has achieved so much and benefiting so many. Nice work Mr. O! Looks delicious! I used to love baking gifts for our friends and family. Now I think I am going to do that this year! Even though I am in Costa Rica… I can find ways to get them back to the states ;o) Thank you for the inspiration! What a delicious looking dessert (or breakfast) and the suggestion of eating it with a strong cup of coffee in hand sounds like perfection. I love using ricotta in desserts- it adds such a great texture to baked goods. Beautiful! 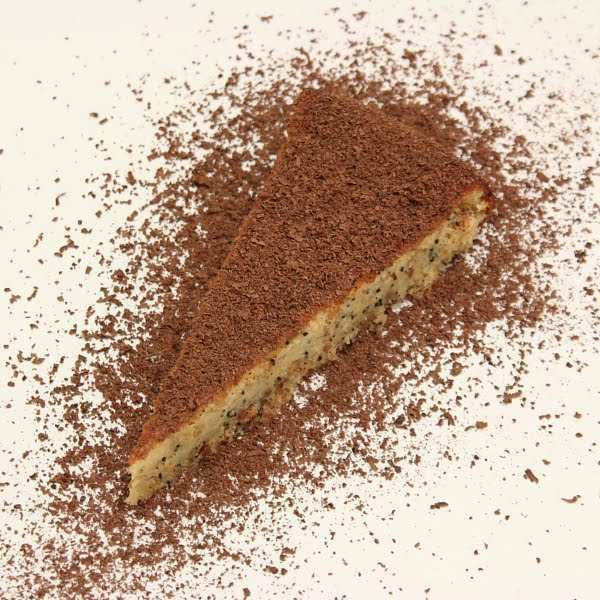 hazelnut, poppy seed and ricotta……a very interesting combination for a torte! it looks delicious! I love hazelnuts, yum. Thank you also for writing about Fifteen and all the good work it does. wow! this torte looks gorgeous and delectable. Fifteen sounds like a wonderful organization, thank you for sharing a lot of great information about them. This looks & sounds divine! Anything with toasted hazelnuts in it – sign me up! wow, this sounds like a great combination of spices and ingredients! This is lovely recipe. Thank you for sharing! Yummy ! Thank you very much for sharing. Cheers ! Your torte looks like it should be in a magazine. It sounds totally delicious. I like and admire Jamie tremendously. It makes me very sad when people criticise him. He truly is an unselfish person. This looks SUBLIME! I love the idea of using the hazelnuts especially as the weather cools and leaves change.I cant wait to try this one for myself.